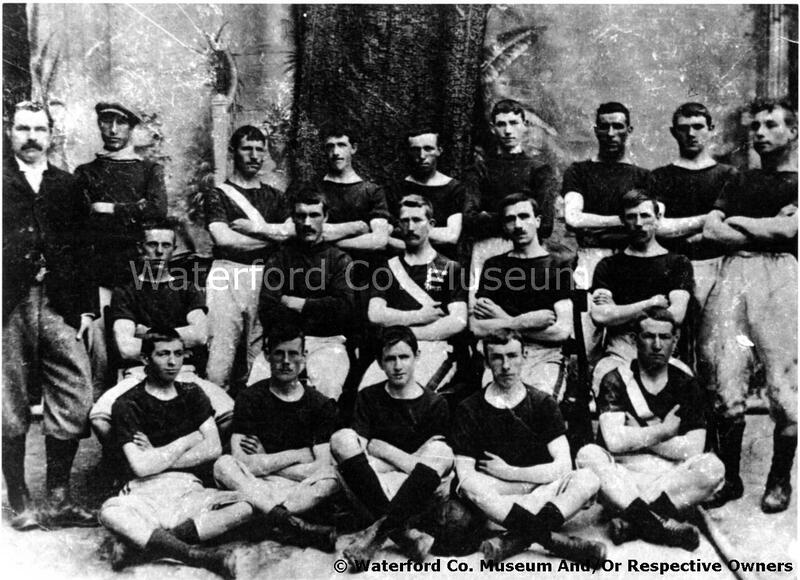 Shandon Rovers Football Team posing for a studio photograph at an unknown location. The man in the centre, middle row has the inscription 'Captain Shandon Rovers on his jersey. The man to the far left of the photgraph is Dan Fraher (moustache).